The gospel of glory, of peace, and of the kingdom are all linked to New Jerusalem. So also is “announcing Jesus and the resurrection as the gospel” in Acts 17:18. The resurrection of Jesus is a historic event recorded in the gospels and proclaimed in Acts. It is also a present reality for us to experience. The incarnation, human living, and death of the man Jesus are all vital steps for our redemption and reconciliation. Based on this, God “has regenerated us unto a living hope through the resurrection of Jesus Christ from the dead” (1 Peter 1:3). Today we partake of the Lord’s death and His resurrection to walk in the “newness of life” in Romans 6:4. This life is Christ Himself who is “the resurrection” and who is “our life.” This life grows in us unto maturity to bring us into and fully matched to New Jerusalem. New Jerusalem is a city of glory, a city in resurrection. In Luke 24 the Lord spoke interchangeably about resurrection and glorification. The measuring of the wall of the city in Revelation 21 also shows that it is in resurrection. And the multiple aspects of the glories of the Lord in 1 Peter 1 match characteristics of New Jerusalem. 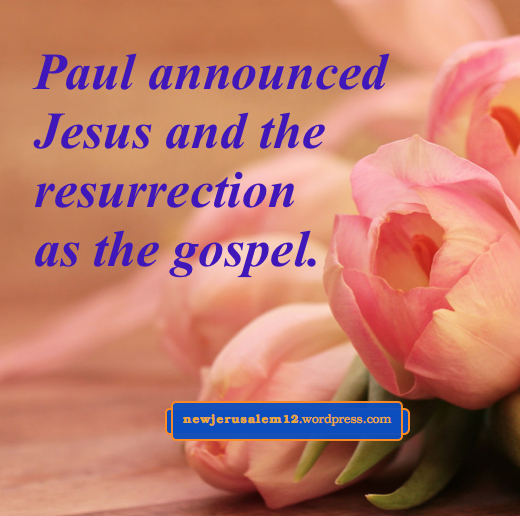 Therefore, Paul’s “announcing Jesus and the resurrection as the gospel” is both for our present believing (Acts 17:34) and to point us toward New Jerusalem. The Lord Jesus, by His death on the cross, terminated all negatives, redeemed God’s people, released divine life, and created one new man. The Spirit makes this real to us. Objectively, all that Christ accomplished has become real to us. We acknowledge and accept these things (even though full comprehension comes only with Christian growth) when we believe into Him and are baptized. An example is Romans 6:3, “All of us who have been baptized into Christ Jesus have been baptized into His death?” Physically we were baptized in water but at the same time the Spirit of reality brought us into the fact of Christ’s death. Objectively, positionally, we are in all that Christ has done. Yet now we need to grow into this subjectively, experientially. An illustration: a positional move from one nation to another is quick, but to fully absorb and live according to the language, food, and culture takes years. We are in Christ and are new objectively. “If anyone is in Christ, he is a new creation.” (2 Cor. 5:17). Now we are growing to absorb and live out the reality of His redemption, life, and the corporate new man. Thus we gradually reach “to me to live is Christ” (Phil 1:21)—Christ lives in me and expresses His virtues out through my living. 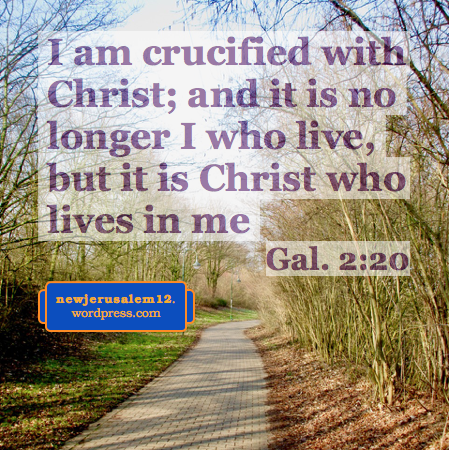 Christ expressed in our living is the precursor of New Jerusalem. This city is not physical, it is a living composition of God in Christ in all His people. 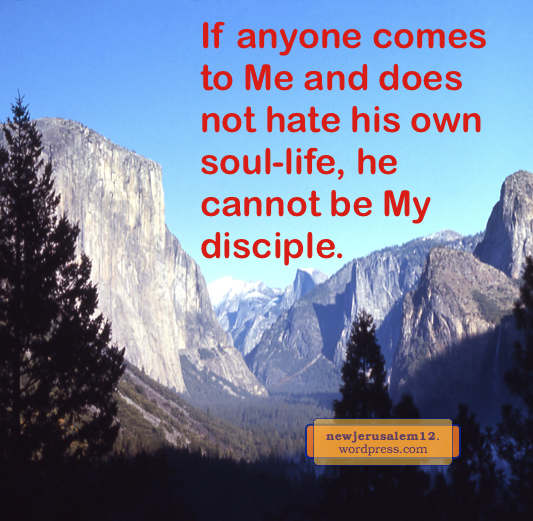 He lives in us and He lives out through us to be expressed through us; this is New Jerusalem. In the parable in Matthew 25, ten virgins all “took their lamps and went forth to meet the bridegroom.” When he came, five who were ready went in with Him to the wedding feast. Five foolish virgins were shut out. However, the Lord promised that He will never cast us out and that no one can take us out of His hand. As a result, these foolish believers will be in New Jerusalem but after a period of discipline. The paths of these two groups of virgins seem to match the verses in Revelation written above. Remember that these two verses are not at identical times but are separated by many events later in chapter 19 and through all of chapter 20. Those who were ready and went into the wedding feast (Matt. 25:10) are those who “made herself ready” (19:7) and thereby receive the blessing (Rev. 19:9). Entrance to the wedding feast is not based on individual Christian perfection but on corporate experience of Christ, resulting in our building together. The virgins who came later and were not let into the feast (Matt. 25:11-12), who are then perfected through discipline (as in Heb. 12:5-11) become part of the prepared bride in Revelation 21:2. 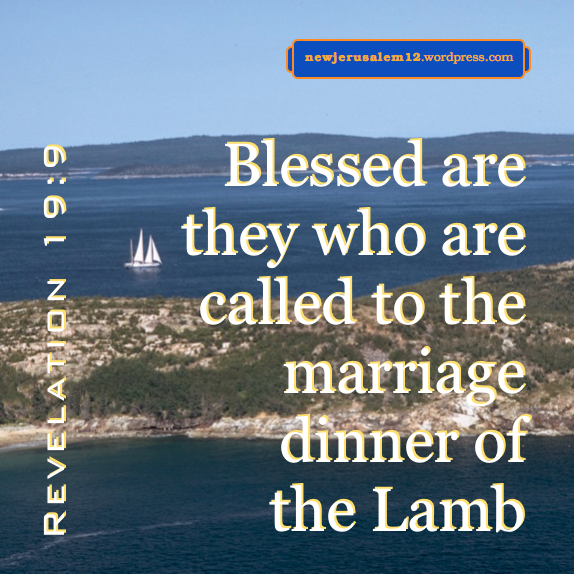 They miss the wedding feast but are part of New Jerusalem for eternity. Based on the Lord’s firm promises, I expect all believers to be constituents of New Jerusalem, whether partaking of the wedding feast or not. First Corinthians 2:9b speaks of “things which God has prepared for those who love Him.” These “things” are not physical. Rather, they are “things which eye has not seen and ear has not heard and which have not come up in man’s heart” (2:9a). These mysterious things planned by God consummate in New Jerusalem. My prior post is The Mystery of God Revealed in Spirit to Those Who Love God. Less than two weeks ago I attended a Christian gathering focusing on our experience of Christ as seen in Revelation 1–3 and 21–22. This gathering presented a strong tie between loving the Lord and God’s ultimate mystery, New Jerusalem. Here is a highlight. In the seven epistles in Revelation 2–3, the first step of degradation was losing the first/best love to the Lord (2:4). This love is seen positively in the sixth epistle, to Philadelphia (3:7-13), a name which means “brotherly love.” This is the atmosphere the Lord desires—that we love Him supremely and, in our love for Him, love all our brothers. In this atmosphere of love we find the preparation of New Jerusalem. This is shown by the only mention of New Jerusalem in Revelation 2–3. 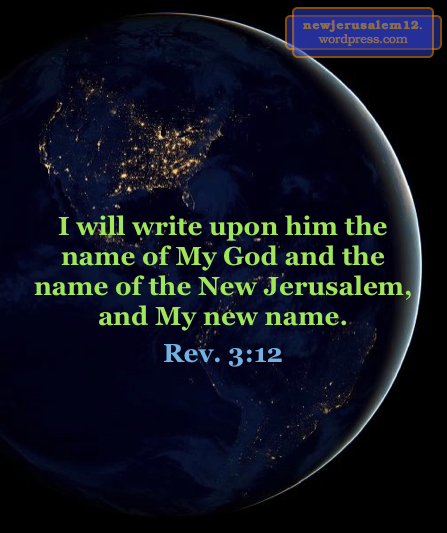 The Lord promises the overcomers, “I will write upon him the name of My God and the name of the city of My God, the New Jerusalem, which descends out of heaven from My God, and My new name.” Such writing indicates that the overcomers in Philadelphia belong to, are one with, and are possessed by God, New Jerusalem, and the Lord. New Jerusalem comes forth in this atmosphere of love seen in Philadelphia; this is the best love becoming the bridal love for our Lord. The apostle Paul received grace “to announce to the Gentiles the unsearchable riches of Christ as the gospel” (Eph. 3:8). These riches are for us to experience and express today and to be displayed by New Jerusalem. 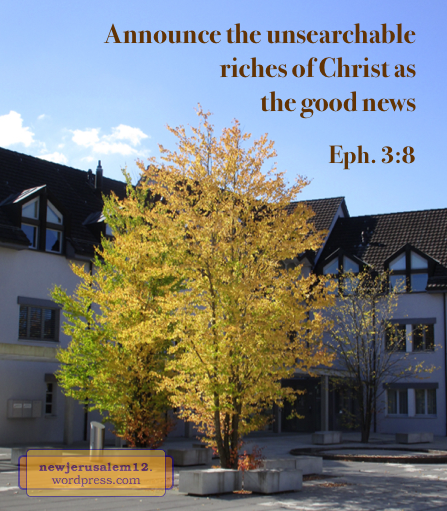 The New Testament is filled with the gospel, the good news, of these riches. For example, in Matthew 9 Jesus Christ is our Physician, He is merciful to us, He is our Bridegroom, He is new wine for us, He raises us out of death, He heals our blindness and dumbness, He shepherds us, and He is the Lord of the harvest. Another example: twenty riches of Christ in 1 Corinthians. Since the riches of Christ are “unsearchable,” for eternity in New Jerusalem we will explore and appreciate them. 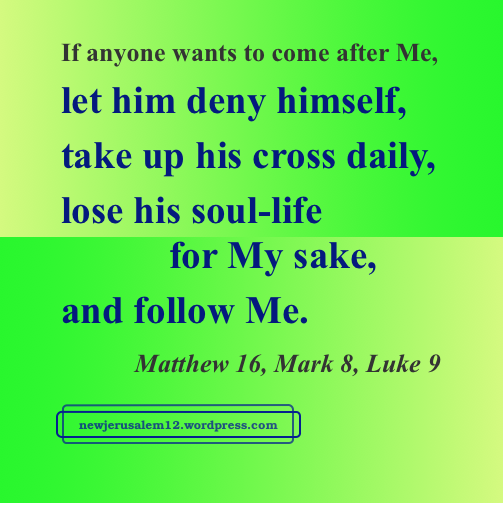 ____Christ my Savior has for me!